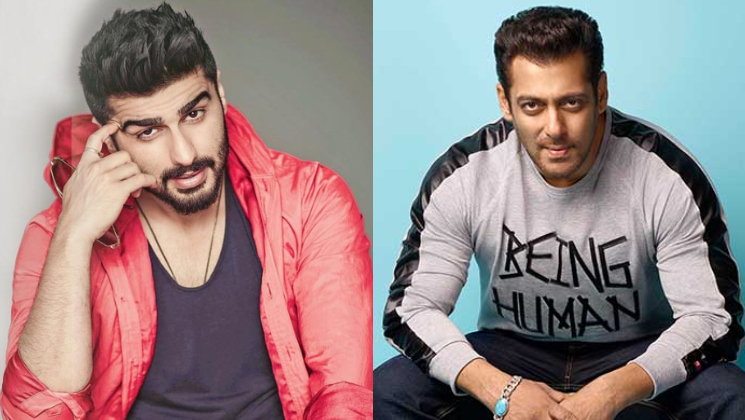 Is Arjun Kapoor replacing Salman Khan in the ‘No Entry’ sequel? Home Bollywood Gossip Is Arjun Kapoor replacing Salman Khan in the ‘No Entry’ sequel? In the year 2005 there came a comedy film that made us laugh until our stomach hurt; it was ‘No Entry’. Starring Salman Khan, Anil Kapoor, Fardeen Khan, Bipasha Basu, Lara Dutta and Celina Jaitly, the film was directed by Anees Bazmee and produced by Boney Kapoor. The film was a success and hence, the makers decided to make a sequel to ‘No Entry’. There were reports about Salman Khan and Anil Kapoor coming together for the sequel too, but in the latest reports are to go by, the collaborate may not happen. Reportedly, Arjun Kapoor may replace Salman in the second installment which is tentatively titled, ‘No Entry Main Entry’. The star cast of the the sequel to ‘No Entry’ is yet to be finalized. The sequel too will be directed by Anees Bazmee and produced by Boney Kapoor. The makers were keen on signing Salman Khan and did wait for him too, but due to his packed schedule they were left with no choice but to find a replacement. Coming back to Arjun, do you want to see him in the sequel? Do let us know!